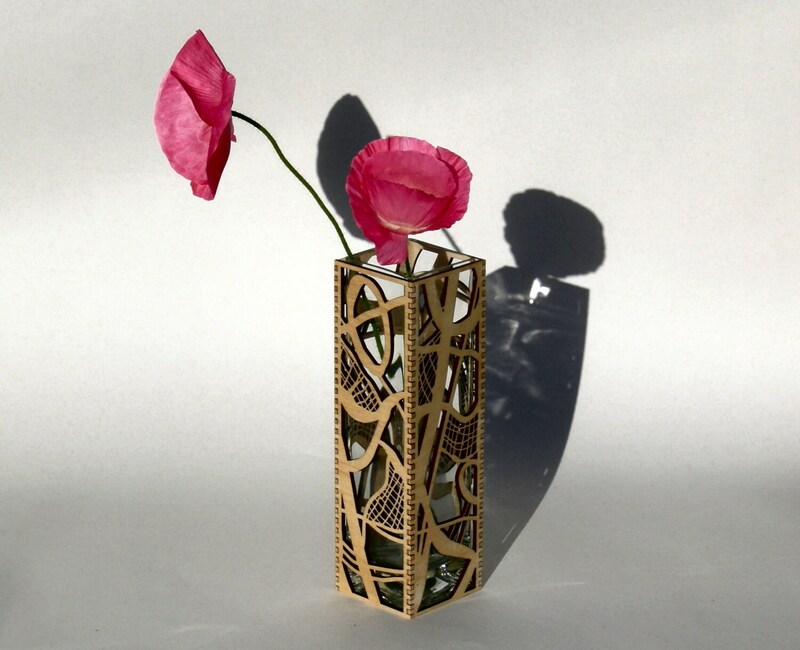 This vase consists of a laser cut Baltic Birch plywood sleeve that fits over a clear glass vase. The glass may be removed from the wood sleeve for easy cleaning. The wood is sanded and coated on the exterior with a durable polyurethane finish. Measurements: Width of sides approximately 2 and 3/8 inches. Height approximately 8 and 1/2 inches.